You’ve seen it on television, featured in mixed martial arts events, or completely on its own. Brazilian Jiu-Jitsu (BJJ) is one of the most popular sports on the planet, and subsequently, one of the most potent and effective self-defense martial arts in existence. Two grapplers step onto the mat. They roll. They exchange positions. The end comes swiftly and expertly, when one man submits the other with a highly-technical execution of some sort of joint lock or hold. The science of how anyone with this wide set of skills can subdue any opponent no matter the age, gender, or size, is ultimately BJJ’s core appeal. Which is why it is extremely popular in the gym. Around the world, thousands of people train in BJJ. Originally developed by the Japanese before being brought over to Brazil, BJJ is immensely popular, not just as a martial art, but also as an alternative workout. As you know, there are many great benefits to training in martial arts, and in turn, there are even greater benefits to training in BJJ. From losing copious amounts of excess weight to enhancing your coordination, BJJ will enrich your life in more ways than one, sometimes without you even realizing it. 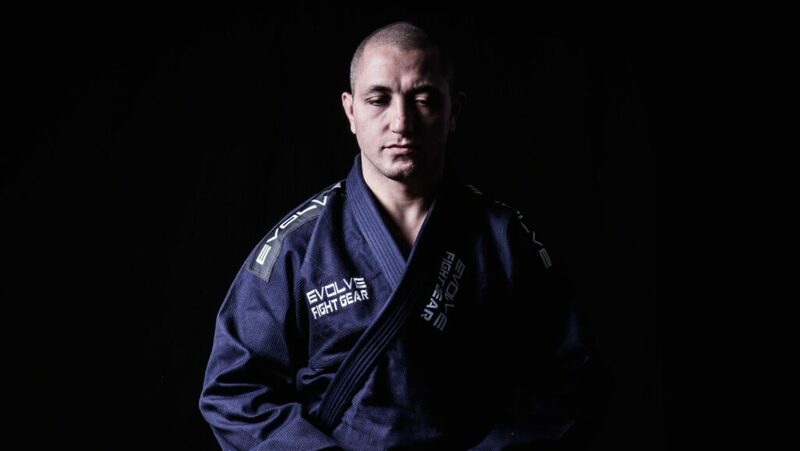 Today, Evolve Daily shares 5 amazing benefits of BJJ you probably didn’t know about. There are many benefits to BJJ. Before would-be students ever get into it, they already know they are going to become fitter and more athletic, perhaps increase their flexibility, and get into overall much better shape. However, for those looking to lose copious amounts of weight, BJJ is known as a great way to see the number on that weighing scale drop significantly. Yes, you’ll learn how to roll. You’ll master various techniques, transitions, and submissions. This is all part of the BJJ curriculum. A huge portion of training in BJJ techniques requires constant drilling and practice. Repeating various movements over and over again until you have them down pat is part of the routine, which makes BJJ one of the most physically intensive workouts in existence. For those who have a lot of weight to lose, do not be discouraged to train in BJJ. There is a common misconception that BJJ is only for those who are already at a certain level of fitness. On the contrary, BJJ is for everyone, no matter what type of body composition. You are not too fat to train in BJJ, so get ready to experience extreme weight loss like never before. BJJ teaches you how to defend yourself both standing up and if the confrontation goes to the ground. One of the greatest benefits of training in BJJ is the gained sense of accomplishment. There will no doubt be many trying times during your quest to learn BJJ. You won’t be able to submit every opponent. In reality, you’ll actually find yourself losing more than you are winning. Such is the nature of martial arts. Failure is part of the game and isn’t seen as a detriment to your development, but a perfect learning opportunity. Finally being able to execute a technique properly, overcoming a disadvantaged position and successfully completing a sweep, and pulling off an amazing submission — this is all part of the triumphs you will achieve in BJJ, and the feeling of victory after an amount of hardship is pure bliss. With BJJ, you are given a sense of accomplishment. After working incredibly hard on your technique, there will no doubt come a time when you reach a level of confidence in your abilities. It is one of the most addicting sensory experiences you can have. When people take up martial arts for fitness, it is usually always associated with wanting to look better, or fit into slimmer jeans, or to obtain the chiseled physique of martial arts athletes. What many often overlook, however, is that martial arts provides better overall health. An overall improvement in health underlies extensive training in BJJ. Training in BJJ lowers cholesterol levels, increases endorphin production, normalizes insulin and blood sugar levels, improves the respiratory system, and just enhances an individual’s health on all fronts. Everyone wants to look their absolute best. That is human nature. BJJ can give us that and more, but there are many other positives to look forward to. Though looking great in front of the mirror is certainly awesome, the best and most impactful benefits of training in martial arts are things that we can’t see on the surface. BJJ has a lasting positive impact on your health. It is more than just a sport, more than just a martial art, it is a lifestyle. The self-defense techniques you learn in BJJ can be used both in the gym or on the streets if you need to protect yourself. BJJ teaches us through constant practice, how to utilize the various parts of our bodies as one cohesive unit. Most of our daily mundane lives are spent sitting on a comfortable chair, at our desk, with a computer in our face. This, naturally, has detrimental effects on our coordination. We lose track of our own mind and body cohesion, and in turn, we become clumsy and unathletic, which of course, isn’t how it’s supposed to be. With BJJ, we gain back that body synchronization and coordination, re-learning how to use our arms, legs, and core to work as a unit. Experience improvement in your mobility, flexibility, and strength. Gauge your power, understand your capabilities, know your limits. Discover solutions to seemingly impossible situations. Believe it or not, BJJ teaches many priceless lessons. Sooner or later, these benefits manifest in our everyday lives. When rolling on the mat, executing transitions, guard passes, and advanced submissions, we are constantly aware of each and every one of our limbs, as well as our opponent’s. We train constantly on the daily, repeating techniques until we master them, testing out various situations while adapting techniques. In mount, we pay attention to head position and wrist control. We watch out for hooks and look for opportunities to explode and pass guard. On the mat, we make calculated movements, advancing position to possible sweeps and reversals. This, and more, are significant aspects of BJJ, and constantly practicing these techniques results in greatly increased focus and spatial awareness. Focus and spatial awareness are traits that can apply to our everyday lives. With enhanced focus, we can get more tasks done at the office, or accomplish our studies in record time. With better spatial awareness, we become more coordinated and athletically inclined. We are sharper, faster, and more powerful. The benefits of BJJ are endless. Not only will you see yourself change on a physical level, you will also grow emotionally, spiritually, and mentally. BJJ is so much more than any regular old workout. Curious about experiencing the benefits first-hand? Sign up for a trial class and find out for yourself!